The health, safety and general welfare of the residents of this area would improve by significantly reducing the number of stray dogs and cats. Not only is it cruel for the animals, but the town of Dycusburg has also used county funds and donations from several residents to clean up our little village on the river. Unfortunately, stray dogs are ruining the cleaning efforts in the early morning hours before the trash company comes, leaving yards full of garbage for residents to clean up. Help end this vicious cycle of irresponsible pet owners who allow their dogs and cats to run wild and breed uncontrollably by calling the county dog catcher, Rick Winters, at 704-0408. Happy belated birthday to Rick Holsapple (Nov. 19). Josh Mahns's mother is in the Cancer Treatment Center of America. She loves the facility and staff and highly recommends the place to anyone in a similar situation. They have not only helped treat her disease but also given her hope. Barbara Ethridge is spending the week with her daughter, Gina Noffsinger and her family in Owensboro celebrating Thanksgiving a little early. The Dycusburg Community Group has a few t-shirts from the 4th of July and Dycusburg Day available for $5. Contact Michelle Henderson at 988-2758 or dycusburg@yahoo.com to see if your size is still available at this special discount. They won't last long, and might even make a good stocking stuffer! To share your news, e-mail dycusburg@yahoo.com or call 988-2758. We wish everyone a healthy and happy Thanksgiving! The descendants of Longshore Lamb, a Revolutionary War soldier who settled in Caldwell County near Claxton before 1810, are raising funds to erect a marker in his memory at the Lamb Cemetery. Longshore and his wife, Sarah Lee, had the following children: Mary (Polly) Lamb-Crow; William Lamb; Elizabeth Lamb-Reaves-Vaughn; Levi Lamb; Margaret (Peggy) Lamb-Farmer; Jensey Jane Lamb-Clayton; John Lamb, Sr.; Moses Lamb and Martin Lamb. Unfortunately, we do not know Longshore's exact burial location, however, we will be erecting a memorial marker. If you are a Lamb descendant and would like to make a donation, please send a check or money order to: Matthew T. Patton, 509 Onward Ave., Phoenixville, PA 19460-5932. For more information, e-mail matthewtpatton@yahoo.com. 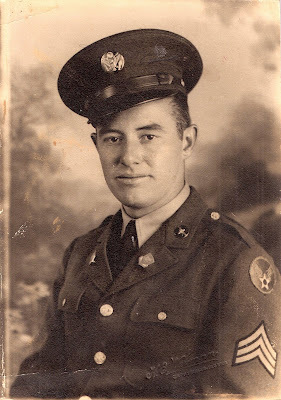 In memory of my grandfather, Denver R. Patton, a proud servant of his country in the United States Army Air Corps. Staff sergeant of the 10th Fighter Squadron, serving in Normandy; Northern France; Rhineland and Central Europe. Born Aug. 13, 1919 (Crittenden Co., KY), died March 11, 2006 (Crittenden Co., KY). 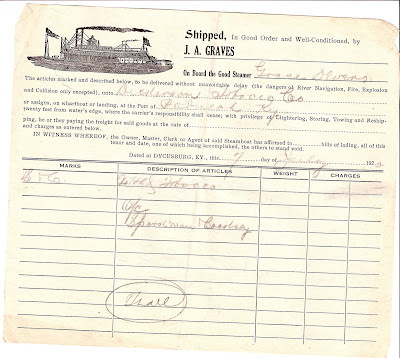 On Board the Good Steamer Grace Devers. Thanks to Rene' H. Wallace who shared this full version of her letter to the editor written to the Crittenden Press. An abridged version was printed in the paper's Nov. 20 issue. I would like to thank the editor and Matthew T. Patton for providing a much needed opposing view about the election. I have heard more positive comments about that letter and heard from many friends in other states about how refreshing it was to hear an opposing view than Lucy Tedrick's column. For many years, I felt a twinge of guilt for not speaking up against the judgment, propaganda and inaccuracies in her column. In a small town, it's hard to express a different view and risk being judged for your comments. For many years, I had the opportunity to see Tedrick in a business setting and I found her to be genuinely nice. And although I didn't agree with her views, I respected her right to her beliefs. I wish that same sentiment and respect was returned. Every time someone writes a letter opposing what she writes, she attacks the person back the next week with vitriolic, bitter sentiments (as I'm sure she will do next week in response to this letter). In more recent years, I increasingly felt this column implied her belief and way of thinking was the only right way of thinking. I feel the newspaper should have a column providing a balance for the readers (perhaps one with a Democratic slant). Currently, it does not. My father, my husband's father and someone who has been more than a father to me, all fought in WWII and guaranteed me the right to believe as I do. My husband's father was a POW for years and lost an arm in the war. The very suggestion this unwarranted Iraq war could even minutely compare to WWII is offensive. The WWII veterans I spoke with did not and do not support this war. And to suggest the GOP is the only group respecting our troops is offensive and disgusting. As many, I support our troops but not the war. And there's a distinct difference. Since when did the military become a GOP institution? I just don't understand why so many papers, editors, columnists, bloggers, preachers and others feel the need to tell any of us who to vote for and why we should. As Patton noted in his letter, America finally woke up. I felt so much pride in America the night of Nov. 4. The country that had always over-achieved and used lofty ideals to do so, had risen to the occasion. It will take all of us to recover from the blunders of the last eight years. It's so disheartening to read the cost of the Iraq war will exceed $3 trillion and we are building better schools and hospitals in Iraq than some of our own citizens have access to. I sometimes wonder how Bush will answer to his creator for the 4,000-plus young men and women who gave their lives for an unjust war and the countless hundreds of thousands who were wounded. I love my country and I love this county. I feel so much gratitude, that as a child, I was enveloped and loved by a congregation that never forced "doctrine" on me, but encouraged me to interpret God's holy word by prayer and conviction. I will always be grateful to the United Methodist Church for giving me acceptance, guidance and love, without one word of judgment or intolerance. Along the way, many teachers went above and beyond in leading us to be curious about our leaders and government. I remember Louise Allen Watson telling me why she was a Democrat and being in church every time the doors were open. I remember Linda Cook taking me home with her from school and making me feel like "family." I don't need an editorial, a bumper sticker or a hate-filled religious column to tell me how to think. I respect their views and honestly don't understand their fervor in not accepting mine. We are glad to report Bro. Lonnie Knight, pastor of Seven Springs, is out of the hospital after recently suffering a heart attack. We wish him a speedy recovery. We're also happy to note that Ann Sutton is home from the hospital. A'Deana Burris celebrated a birthday this week. Josh and Star Mahns have been spending some time in Indiana where Josh's mom is fighting a battle with cancer. Our sympathies are extended to the family of Imogene Davenport Stone Peters, 82, of Eddyville who died Tuesday, Nov. 11, 2008, at Hilltop Nursing Home in Kuttawa after an extended illness. She was buried at Dycusburg Cemetery. Hunters have been coming from all over the country to take to the fields. Our area has produced some very large whitetail deer. But the harvesting of the deer population doesn't mean you still don't need to be careful on the roads. Just a few copies remain of "Dycusburg, Kentucky: A Glance at Her Past." If you're interested in obtaining a copy before the holidays at a discounted rate of $50 (normally $75), call 215-285-0920 or e-mail matthewtpatton@yahoo.com. Josh, Star and Jacob Mahns; Jenny Patton and Aliyah Frutiger; and Travis and Emma Sosh enjoyed a night out bowling last week and dinner at Pagliai's. EDDYVILLE, Ky. — Mrs. Imogene Davenport Stone Peters, 82, of Eddyville passed away Tuesday, November 11, 2008, at Hilltop Nursing Home in Kuttawa after an extended illness. She was a homemaker and a member of Dycusburg United Methodist Church, a member of the VFW Auxiliary of Princeton and a member of the American Legion Auxiliary of Princeton. Born June 26, 1926, in Dycusburg, she was preceded in death by her parents, Lark and Tylene McHalney Davenport; a brother, Lawrence Davenport; a son, Rick Stone; and a nephew, Teddy Davenport. She is survived by her loving husband of 34 years, Robert Earl “R.E.” Peters of Eddyville; two sons, Derry and wife Donna Stone of Crown Point, Ind., and Robert D. and wife Carol Peters of Clarksville, Tenn.; a daughter, Becky Miklos of Snellsville, Ga.; 10 grandchildren; several great-grandchildren; two nieces; and two nephews. Lakeland Funeral Home in Eddyville is handling the arrangements, where the family will receive friends today, November 13, 2008, from 5 until 8 p.m.
Services will be at 11 a.m. Friday, November 14, 2008, at the funeral home chapel with the Rev. Jim Keegan officiating. Family will serve as pallbearers. Interment will follow in Dycusburg Cemetery. Attendance at Seven Springs was 49 on Sunday. Bro. Don Guess preached that day as Bro. Lonnie Knight suffered a heart attack last week. The congregation, friends and family are prayerful for a quick recovery. Deer season is in full swing in the southern part of Crittenden County as there was an abundance of hunters to be seen in the area. The annual L.B. and Sarah (Parsley) Patton reunion was held Oct. 12 at the Fredonia Lion's Club Building. Everyone enjoyed the afternoon of fellowship. Those signing the guest register included: Ronnie and Jo Patton; Beverly Patton; Ray and Wanda Patton; David and Edna Macon; Dot Young; Minnie Nell Shewcraft-Martin; Jarvis Morrow; David and Kathy Woodrum; Jerry and Gina Woodrum; Leslie and Molly Woodrum; Matthew T. Patton; Betty and Leon Hodges; Debra Hodges; Dottie Woodrum; Danny Hodges; Anna Jimenez; Barbara Ethridge; George, Carol abd Dylan Strilko; Jenny Patton and Aliyah Frutiger; Vicki King; Gilford and Joyce Patton; Quin, Amye, Auburn, Warron and Tayln Sutton; Naomi P. Ward; Janet Patton; and Ralph Patton. L.B. Patton (1836-1915) and his wife, Sarah (1840-1922) came to Crittenden County in 1878, settling on the Cumberland River near Dycusburg. Eight of their twelve children lived to adulthood and made their homes in Crittenden, Livingston, Caldwell and Lyon counties. The next meeting of the Dycusburg Community Group will be Wednesday, Nov. 19, 5 p.m., at the home of Michelle Henderson. The focus topic of the meeting will be, "Money Saving Tips During Harsh Economic Times." Everyone is encouraged to attend and bring tips and tricks of their own for saving money and curbing spending. In honor of Veteran's Day, here's a photo from this summer at the Dycusburg Area Veteran's Memorial Marker dedication. Today and always, let us honor our troops. The following query was sent to me for inclusion on this site. If you have genealogical queries for Southern Crittenden County, please send to matthewtpatton@yahoo.com and I will be glad to post them here. In 1860, there was 26 year old man Hugh M. Hiett working on a farm owed by David P. Bennett in Dycusburg Ky. whose wife's maiden name was Melinda Tisdale. Hugh's mother's maiden Name was Mary Ann Tidale, and makes me wonder if they may have been sisters. Hugh joined the Union army in Marion, Ky. when the war started. He was sworn in at Smithland as a 2nd Lt. In the 20th Ky Inf. Fought in many battles, including Shiloh. He fell and hurt his leg in the Mt. near Camp Wild Cat Ky. Now a 1st Lt. and unable to fulfill his duties, he turned in his resignation and it was accepted. After being out of the service for ten months and now able to do his duties he rejoined the Army. This time he was put in the 48th mounted Inf. as a Captain. His name was put on two historical markers for accomplishments in the war. One in Salem the other in Eddyville. He married Grace Gray a sister of one of his trooper's Alford Gray after the war. They had three children together, William Frank, Florance and Clarence. They had a 72 acre farm in Driskill just out of Smithland Ky. He was wounded at Salem Ky. and ended up paralyzed in his left leg. He cut his right leg cutting fire wood after moving to Forman, IL. The wound wouldn't heal, they amputated his leg at home. He didn't survive the amputation. He is buried I believe in the old Forman cemetery. I would love to hear from anyone who knows of Hugh M. Hiett or Grace Gray Hiett. My grandfather left home at 14 bringing no pictures and little information. Either e-mail or phone (903-685-2805). Time is a valuable possession, thank you for yours. James Hugh Hyatt (hyatt1944@yahoo.com). We extend our birthday wishes to the following: William Kinnis (11/1); Alexzander Conner (11/5); Makayla Smith (11/7); Edna Kinnis and Lakin Hunt (11/8); Katrina Boone and Tony Maxfield (11/13); Patsy Stephens (11/5); Cheryle Story 11/16); Christopher Elder (11/21); Jason Williams (11/22); Zach Brantley and John Tyson (11/29). Happy anniversary to William and Edna Kinnis (11/6); Bud and Wilma Allen (11/16) and Eddie and Donna Jewell. Attendance at Sunday School at Seven Springs was 62, with a packed audience for the preaching. Attendance at Frances Presbyterian was 35. Members held a Halloween party on Wednesday at the church with quite a few in attendance. Bro. A.C. Hodge celebrated his birthday on Nov. 1. Our sympathies are extended to Bethany and Melissa Sherfinski on the death of their mother, Connie Voss. Matthew T. Patton has a few copies of "Dycusburg, Kentucky: A Glance at Her Past," available for purchase ($50 for a limited time). E-mail matthewtpatton@yahoo.com or call 215-285-0920 for more information. Dan and Michelle Henderson hosted a hayride in Dycusburg on Halloween, with 24 in attendance. Afterward, Jamie "Pug" LaRue told a variety of scary stories on the riverfront (scaring the children away!). Billy Hogue caught a good mess of catfish and donated the fish for an upcoming fish fry. The Dycusburg Community Group donated candy to the Dycusburg Baptist Church for its "Trunk or Treat." It was reported that several enjoyed the event. Watch next week's issue for the next meeting date of the Dycusburg Community Group. Some interesting blogs to check out for Crittenden County history are Brenda Joyce Jerome's blog: wkygenealogy.blogspot.com and Brenda Underdown's blog: ourforgottenpassages.blogspot.com. My name is Ron Heil, I am looking for information about the James A Wheeler family of Marion Kentucky. My Grandmother was Lila Anne Wheeler. She was born to James A Wheeler and Annie M Wigginton on June 22,1881. From what I can discern she had a total of 4 brothers Albert Henry Wheeler born February 14 1869; John Robert Wheeler born January 27, 1866; Eddie B Wheeler born April 5 1873, but died when he was just 4; George Alexander Wheeler born September 5, 1873; died November 4 1876. I have a picture of my grandmother with her father, Uncle Albert and Uncle John. From what I can tell Annie ( or Anna) died when my grandmother was 1 a year old and my great-grandfather remarried to a Nannie K. Harris on the 18th of August 1886 in Clay Kentucky. From my grandparents 50th anniversary article in the local paper my Grandmother was raised in Mt Vernon Illinois before moving to Greeley Colorado and living with her aunt and uncle Gladys and J Smith Johnson. About 10 years ago we passed through Marion and found a Wheeler Museum that had artifacts from the Wheeler family. I am looking to fill the gaps in the family history and would very much like to be in contact with any remaining family members in that area. I can be reached via e-mail at madron1@comcast.net. Thanks in advance for any information that I might be able to retrieve. Attendance at Sunday School at Seven Springs was 61, with several more arriving for preaching. Miss Paula Patton's Sunday School class enjoyed a trip to the pumpkin patch on Saturday. Attending were Isaac Kennedy, Faith and Alex Conner, Jonathan and Madeline Downing, Laken Hunt and Aliyah Frutiger. Thanks to Brenda Underdown who shared this obituary from the Jan. 9, 1908 issue of The Crittenden Record Press: "W.L. Bennett Dead. Dycusburg has suffered another severe blow to her business enterprise by the death of W.L. Bennett, who was familiarly known as 'Bud.' He died of blood poisoning which resulted from a cut he received on his foot only a few days ago, otherwise he was in good health. Mr. Bennett was a dealer in tobacco and general merchandise and was always at the front of any thing for the advancement of Dycusburg. He will be missed. His wife, a sister of Prof. Glass, survives, also several children." W.L. Bennett's brother was beaten by the Night Riders the next month in February 1908. His wife was Julie Elizabeth Glass-Bennett. The Dycusburg Community Group will be distributing candy for Halloween on Friday in Dycusburg. Please share your news by e-mailing us at dycusburg@yahoo.com.